The Black Flag Cafe© • View topic - DPX Gear Support? For everyone who has dealt with DPX Gear support, how have you done so that has turned up good results? I emailed the only email address on the website that wasn't labeled specifically for website support on January 3rd and have not seen a reply. I figured it would take 2 or 3 days to reply, not 2 or 3 weeks. Posting here is a good start.RYP should be along soon once he pours himself out of the airport lounge. jacktrades_nbk wrote: Excellent customer support. 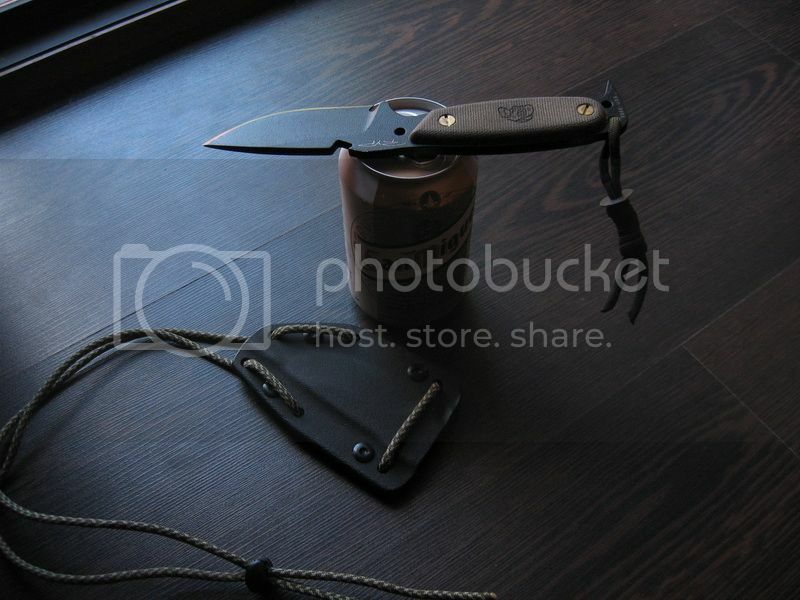 I like the "lanyard" on the sheath - looks very functional. I'll have to try something like that for mine. BTW the folder is going back to Africa with me in Nov.
Donut wrote: For everyone who has dealt with DPX Gear support, how have you done so that has turned up good results? not only are we a small business but we treat every one of our customers with respect. So even the owner of the company makes sure you are taken care of. Thank you. And thanks for the brand new sheath.